If you thought today’s KitKat announcements were going to stop at the LG G2, you thought wrong. Thanks to one of our sharp-eyed readers, we know that Samsung has just released the 4.4.2 source code for the T-Mobile Galaxy Note 3. It doesn’t mean the actual software update is available, but it’s a good indication that it’s coming very soon. If you hit opensource.samsung.com and search for N900T (Tmo GS Note 3 model number), you’ll find it labeled N900TUVUCNB4. The filename is SM-N900T_NA_KK_Opensource.zip. As for a time-frame on actual release, we don’t have a definite. Often times, you’ll find that the software update is available OTA around 24 hours after the source code appears. But it could be a shorter or longer waiting time. Just know this: It’s definitely on its way soon. Thank goodness… Bring it on T-Mobile! I can’t wait to see if KitKat actually makes a difference in performance. From the videos online, it seems to be a little bit smoother than Jelly Bean. I have a friend that has a Note 3 w/Sprint and said it definitely made it perform smoother. Spamming the update button non-stop starting…… now. I was thinking the same. Race you for it! I’ve never seen an OTA pushed over the weekend. I would say start doing this on Monday. Any thoughts on if this update will include the fix for the issue that some note 3/s4 users had with the sd card? What’s the issue, I have a s4 and note 3.. What issue is there that I haven’t noticed? I am of course waiting for that. That’s all I use root for anymore, really. Many companies are really making it a pain to run their apps while rooted. I was told by someone at a T-Mobile kiosk at Costco that the Kit Kat release will come out March 22nd the other day. He said they told him it was a firm date. around 70% of T-mobile front line employees barely know anything beyond Simple Choice, SIM card etc. I’ve worked as a T-Mobile kiosk employee in the past, and they have no knowledge whatsoever about updates. We were always in direct contact with T-Mobile district managers, and even they don’t find out until it is starting to be pushed OTA. Front-line employees have one responsibility – sell, sell, sell. They don’t get any more information than necessary. I just got my Note 3 today,from UPS,what I have read here from different posts,half the time these updates brick people phones,or something stop working right,that was fine before. Has anyone that is reading this,has it happen to u? Have not set if up as of yet,didn’t know it I use miro sim card. Thank you. Nobody knows as Tmo hasn’t pushed KitKat out to the Note 3 yet. Now why will they push something out to brick ppls phone?? c’mon guy i understand the bugs but brick? Not from my understanding. Don’t get me wrong, it has happened. But it is NOT a common occurrence. You are still under warranty and will be just fine. In fact, when it eventually DOES roll out from Magenta, just wait a week or so and see what people are saying. It’s a recommendation I would give to everyone. Otherwise, there’s a 99.99% chance you’ll be totally fine if you follow the instructions to update. Remove the micro sim. Allow it to boot up before you insert it. Phones being Brick has nothing to do with over the air updates from the manufacturer and carriers. Bricks are related to unlocking the bootloader, rooting your phone, installing a custom rom, and anything related to these areas. As far as your phone getting a bug or something stop working after an update is rare. So dissapointed no tap to pay support in a flagship nfc phone! Get with the program google! Makes me furious they give favoritism to their devices. The blame for that lies solely on Tmobile. They don’t allow Google to use the NFC secure element so they can try to force you to use Isis. That’s why KitKat added card emulation. It allows Google to do payments without the secure element. Not solely on T-Mobile. T-Mobile wouldn’t have been able to push through this stupid idea all on their own. They had to have the help on the 2 heavyweights…VZW and AT&T. Check once you get it. There have been reports all Kitkat phones on all carriers have had tap to pay working. Saw it on Android Police, Droidlife etc. When it updates, it should work. Blame Verizon, AT&T, and T-Mobile. They, for whatever reason, are very against Google and their Wallet app. They’ve utterly failed on making their own version though, so…good try, guys. So this means its coming in the following days?? On sprint had it for a week… since when is sprint the first to do anything? to get Sprint up and running. This could be the start. Just in time for the Note 4 to render the 3 obsolete. What are you talking about? The Note 4 is 6 months away at the very least. 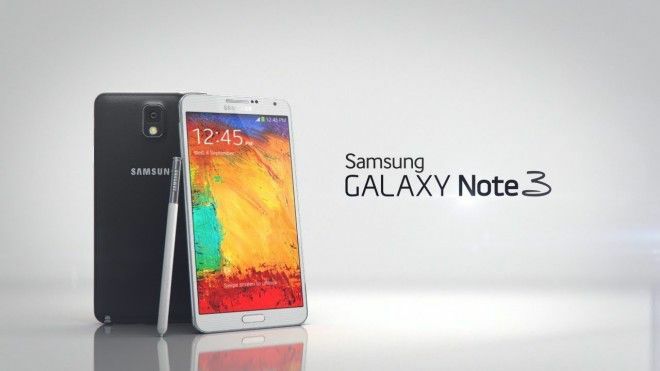 The note 4 no but galaxy s5 yes…. so we are not seeing kitkat update on the not 3 until s5 has been released my friend. You may think how this affects the sales of the s5? But it does. I post comments about this on t-mobile page and all they do its delete my comments. And guess why? Cuz they know im right. So once again. We won’t see an update before s5 release. Except you’re wrong about that because KitKat has already started coming out for the Note 3. Not on T-Mobile yet, but other carriers. Chances are it will be out on T-Mobile before the S5 drops. R yu stupid my friend??? When I was talking about other carrier???? Im talking about t-mobile only not other carriers!!! I think you should read once so you understand what im write!!! The other carriers yes they update their phones and here is why. Because they do care about their costumers. And yu will be here on this site giving me the reason when we get kitkat on TMOBILE NOTE3 after the s5 drops . First off, I’m not stupid & judging by your horrible grammar, English is not your first language or you’re a lot closer to stupid than me. Secondly, T-Mobile seems to care about the consumer way more than your average carrier, so what you’re saying makes little sense. Also, no where in your post did specifically say you were talking about T-Mobile. In fact, you even said that you were talking about Samsung phones. That makes you wrong once again. Besides, the S5 comes out in mid-April. T-Mobile has already stated that the 4.4 update for the N3 will come out prior to that. Just stop talking before you make yourself look even more childish. Well, 4.4 just rolling out for the N3 today. Clearly you were wrong about that. Got anything else to say? Washington DC and no update! Will update when I get mine. Miami, nothing. I don’t even want it anymore. Keep your effin update tmo. Watch u get it when it arrives! Yeah, it does feel like Christmas. I’m starting to get impatient now though lol. After the wonderful article on Android police concerning the change of 4.4.2 Kitkat with the write/Read abilities of the sdcard means I won’t be taking this update on my Note 3 until further notice…. I don’t want to lose my functionality of my installed third party applications or operations or other functions I preform on my device now. This issue is a change of the standard permissions that have always existed with android since it’s exception and GOOGLE IS NOW CHANGE NO THAT IN KITKAT 4.4.2 basically FORCING PEOPLE who use sdcard devices into this situation cause they hate sdcard storage……. This is VALUABLE INFORMATION FOR GALAXY OWNERS S4, Note 2, S3, Note 3 and any tablet made. Samsung better stand up to Google very soon. 1. Google does not “hate” SD cards. They want to do away with it or at least change how it’s used because, overall, it hasn’t changed at all in the last 2 decades, maybe longer. They more than likely feel it’s time for a change, and the Storage Access Framework is a very good solution, as the last section of the AP article indicates. 2. For a moment, put aside the fact that most of your posts are incredibly biased towards Samsung, and usually horribly wrong, the amount of misspellings and wrong words you’ve used really detracts from your credibility. 3. If Samsung didn’t throw 8 GB worth of crap on their phones, you wouldn’t need a “move app to SD” option. When are you going to stand up to Sammy, Richard? Hopefully it will fix “My Magazine,” my phone reboots when the program crashes. Ok we are not seeing kitkat update on the not 3 until s5 has been released my friend. IDIOT I TOLD YOU SO..
No update yet in Houston yet! samsung s5 release has nothing to do with an update to the note 3, if thats the case why did att,sprint,verizon have kit kat on there note 3s???????? That’s because John Legere is busy loading up kitkat for note 3 with Tmo bloatware! He has been quiet lately, haven’t you noticed? Updated is live. You were wrong dude. Okay okay okay, slow down folks. The source code being released doesn’t mean you’ll see an update in the next few days. Magenta has to throw some bloat on it and test it out. Most likely, and this is a general agreement in XDA, you’ll see an update in a month or 2. We’ll be lucky if it come out within a month. No need to check for updates, I’m sure it’ll get a spot here on Tmonews. we are not seeing kitkat update on the not 3 until s5 has been released my friend. VERBAL VOMIT….DIARRHEA OF THE MOUTH!!! I WISH T-MOBILE WOULD DELETE YOUR COMMENT HERE TOO,GENIUS!! The 5th….from someone in xda….it was on kies also for a short time earlier today. I was just saying that people should hold off refreshing their update screen. It could be the next day, next week, or next month. I think the idea is that we just want the darn update bad. This article is informing us that it’s on its way but what it really did was tease us. Every other major phone got their update so where is ours!?! Verizon hasn’t gotten theirs yet, but I’m with you on how others got the update prior to the Note 3. I installed a rooted one and it’s noticeably better than 4.3 in the performance department. Lol guess who was right lol. Nope, said it would be a few days but it was the next day. Apparently, it was poised to rollout on the 5th. Someone in XDA said it, but I never fully believe what I read on the internet. There was no need to call “BS! !” as I was trying to detour poeple from assuming that Magenta would rollout the update when Sammy did. I’m downloading as we speak!!! It’s live!! Kit kat on tmobile galaxy note 3!! Yeah man I didn’t listen to this last comment. I’m getting mine now. Yeah man I just checked mine. Its downloading now. Hit the update button folks. Its up!!!! If you hop over to XDA there is plent of talk on what issues some are having. It’s already rooted on XDA, downloading now.